Well, I’ve fallen off the face of the earth for awhile again. It’s taken some new 5-star reviews to draw me out of the woodwork. From that, you might guess that this would be an excited and positive post – and it was going to be, until I noticed that these new 5-star reviews didn’t actually bump up my star average, so in the end – I’m completely frustrated! The novella of Breathtaker had a couple 5-star reviews, and a couple negative reviews that caused it to hover at a 3.5 star average for a long time. Then I revamped it and hoped for some new reviews to come in and change the average, hopefully in a positive direction in light of the new changes. Well it got its first new review, and I’m happy to say it was a 5-star, but the average hasn’t changed, so what good does it do me? Gah! I’m hoping it just hasn’t fully processed yet, but the last review I received for Bounty (also a 5-star), failed likewise to affect the average stars, and that was a good while ago, and I never did see a change. I’m not sure what the deal is, but I’m having one of those pitiful spans where I feel like the universe is against my success. You feel that way usually when you receive your first 1-star review, and maybe when you receive a couple 2- or 3-star reviews, and you wonder if you’ll just never actually be able to be any better than that, no matter how hard you try. But in a way it’s so much worse to actually be receiving positive praise, and yet have it make no difference. I can’t win! Alright, rant over. I’m super glad people are enjoying what they’re reading these days. At least, if I myself know I’m improving as a writer, maybe my next book will never get stuck with a 3.5 star average to begin with. But knowing my luck, it will receive only 5-star reviews and still display a 3.5 star average. Begin hysterical laughter to retain sanity. Categories: Uncategorized | Tags: author, book, books, review, reviews, write, writer, writing | Permalink. Today I have an amazing guest. Harper Alexander is here to discuss what goes into the making of a book cover! Harper did the cover for Black Powder Brigade, which is amazing, by the way, and she does fantastic pre-made and custom cover work! Take it away, Harper! When asked what I do for a living, the goal used to be to answer: I’m an author. But as it turns out, I’ve ended up cashing in more on other people’s books, than my own. Yet it was still me being an ‘author’ that established this career. What career is that, you ask? That of a book cover designer. One of these days, I’m actually going to write something generally interesting again, rather than just posting updates about my books, and having it be all ‘me me me’ (or ‘my books my books my books’). I realized today that I used to post a lot more on general writing topics, and discuss opinions about things, rather than just posting endless, redundant personal writing updates. So, one day I will get back to that. 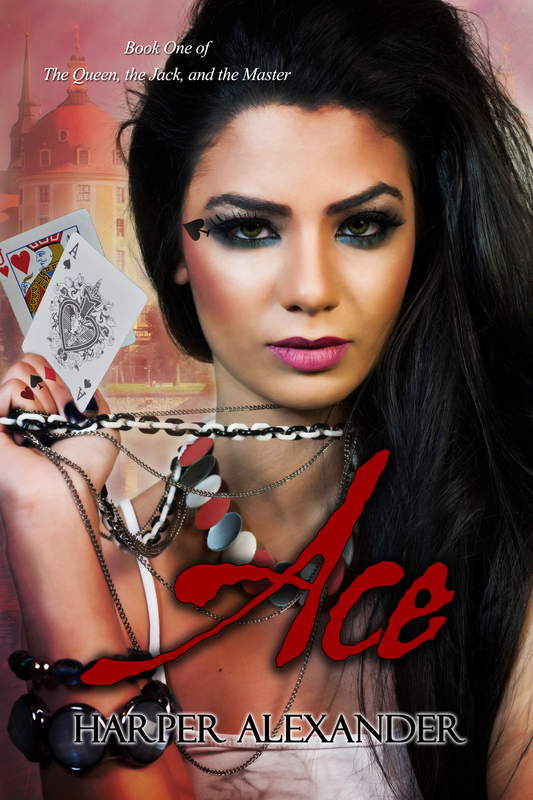 Today is the day that I post the grand new cover for Ace! It was about time Ace got a makeover, since I’ve been doing the same with everything else. Especially because I’m writing the third book in the series now, and given the fact that I’ll soon be needing to make the cover for that, it made more sense to redo the first two now and continue the new trend, rather than making something to match the old covers only to redo them ALL whenever I decided to finally get around to it. So, here it is! The new Ace cover! I’ll be making the new Ace of Hearts cover here pretty soon, and then it will be on to the cover for Queen of Spades, hopefully before I finish writing it. But I’m pretty sure I’m going to have to go back and read the first two before I can get much further in the writing, just to make sure I’m tying everything in as I should, so that should present plenty of leeway. 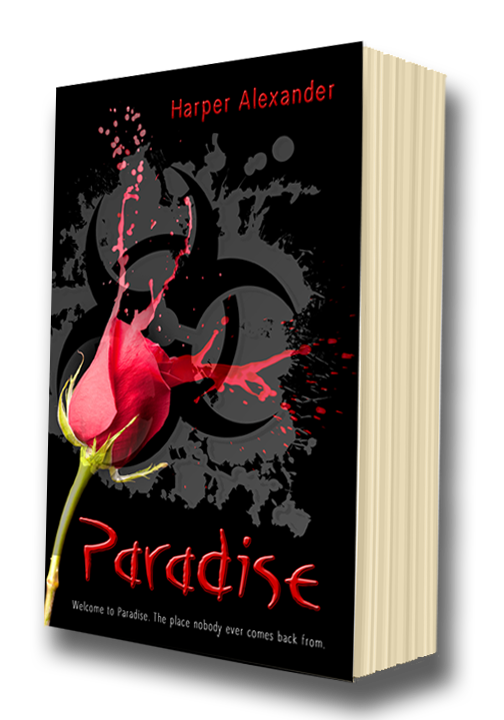 Categories: Book Imagery, Books, Graphic Design, My Books, Self-Publishing, Writing | Tags: author, book, books, cover, indie, reveal, write, writer, writing | Permalink.